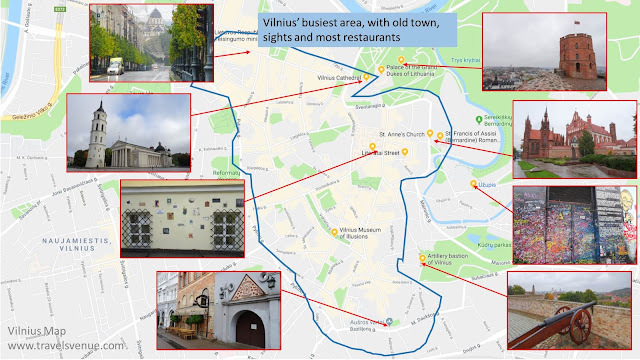 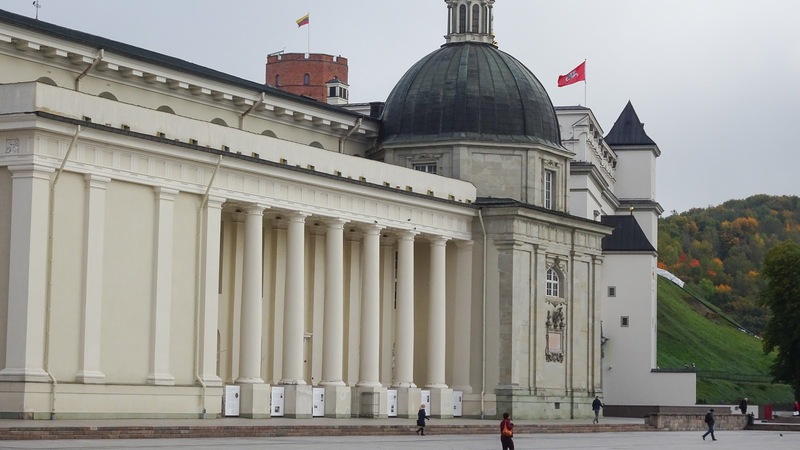 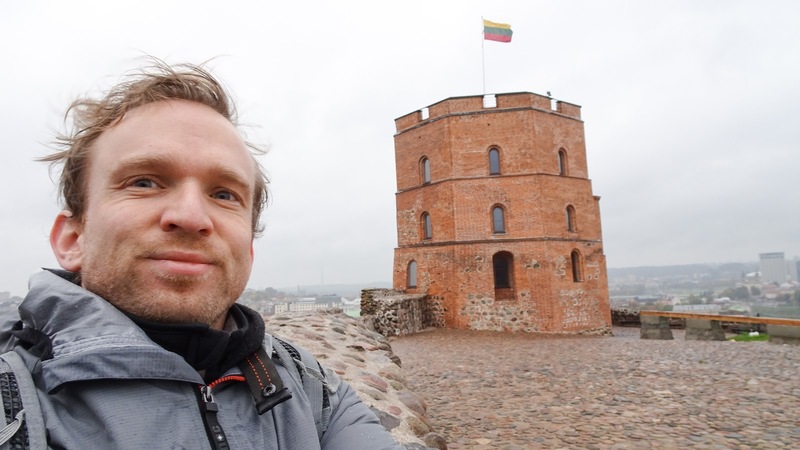 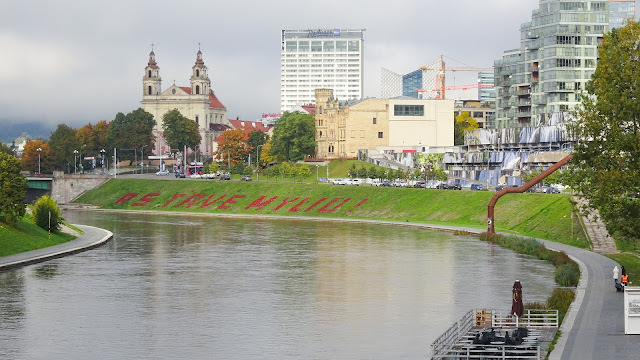 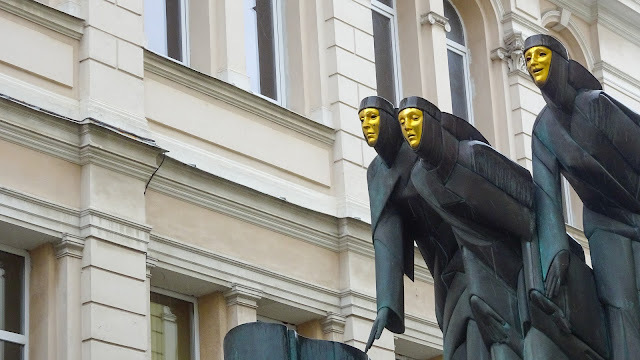 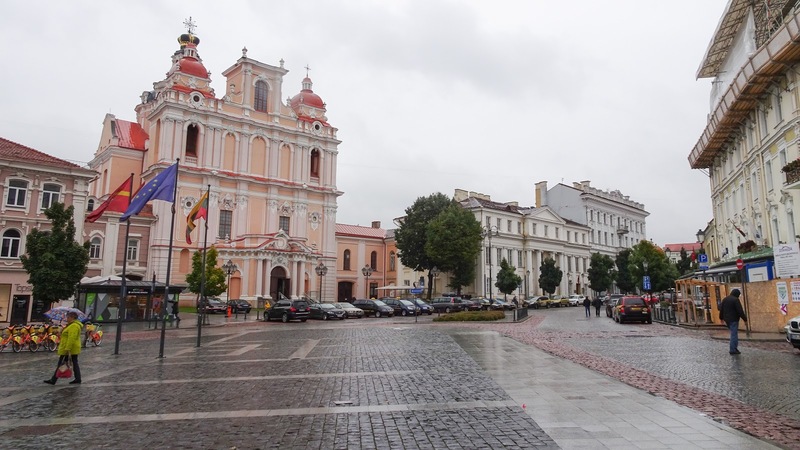 The old town of Vilnius is absolutely fine, but because of all the drunk tourists in the old town, I was a little bit disappointed to see how alcohol can indirectly create some ugly impressions. I was shocked by the amount of loud UK tourists who were already drunk in the early afternoon and swearing all over the old town like in a soccer stadium. 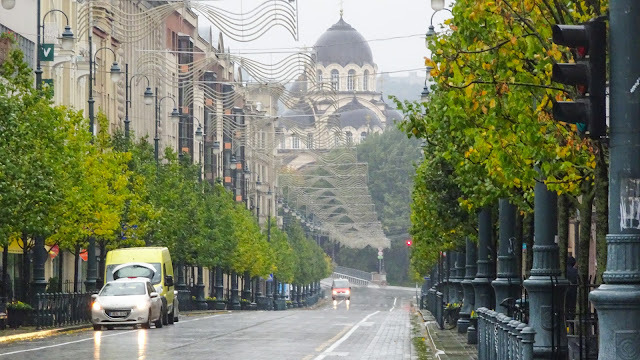 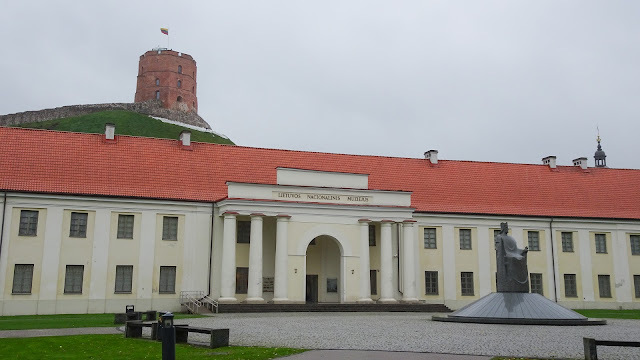 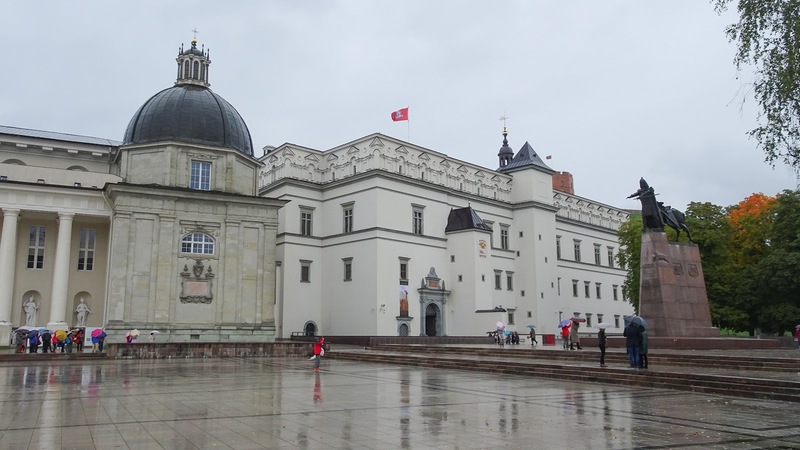 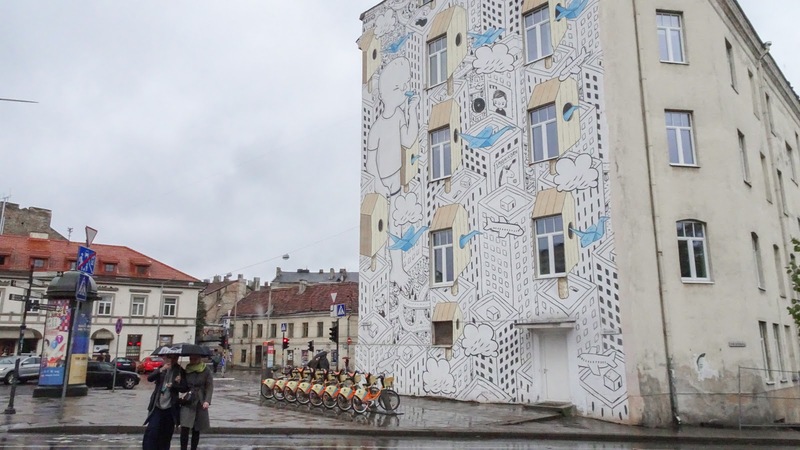 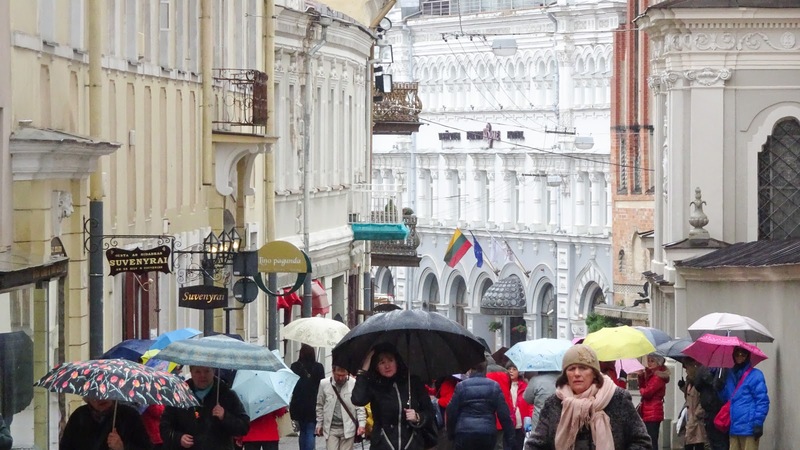 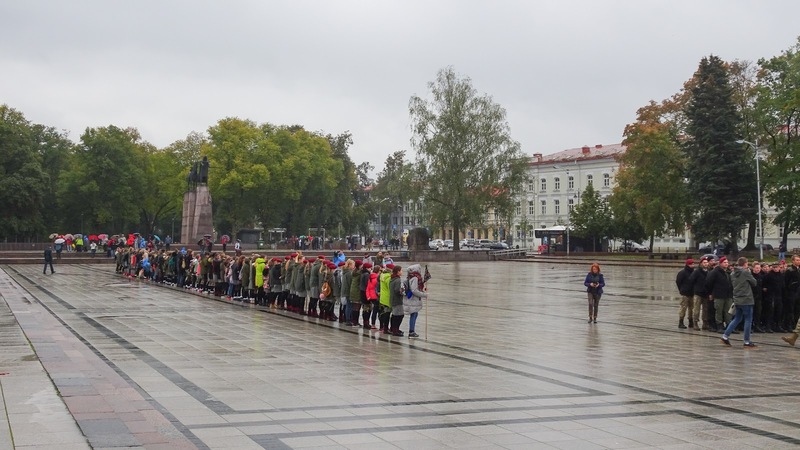 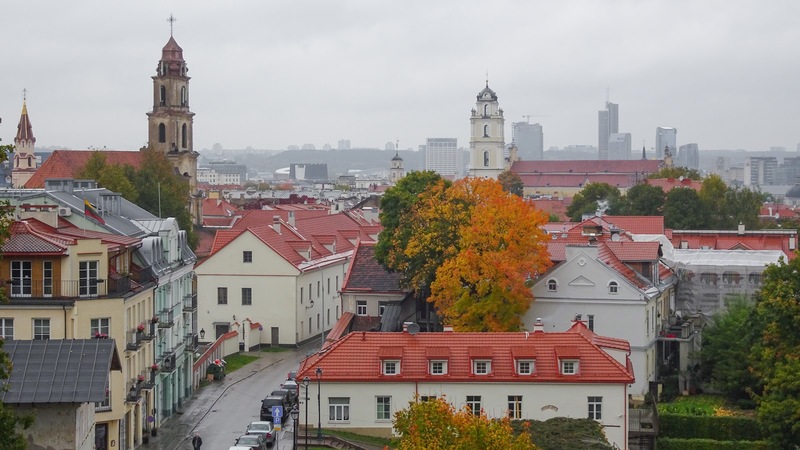 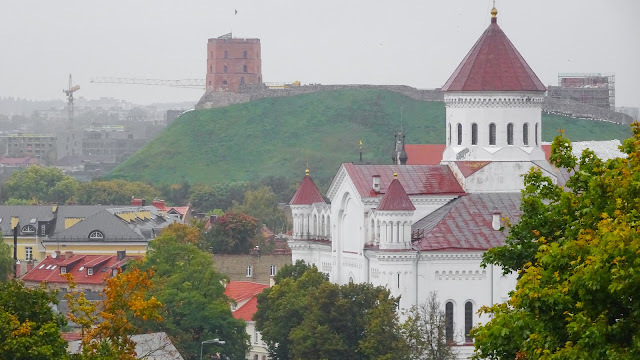 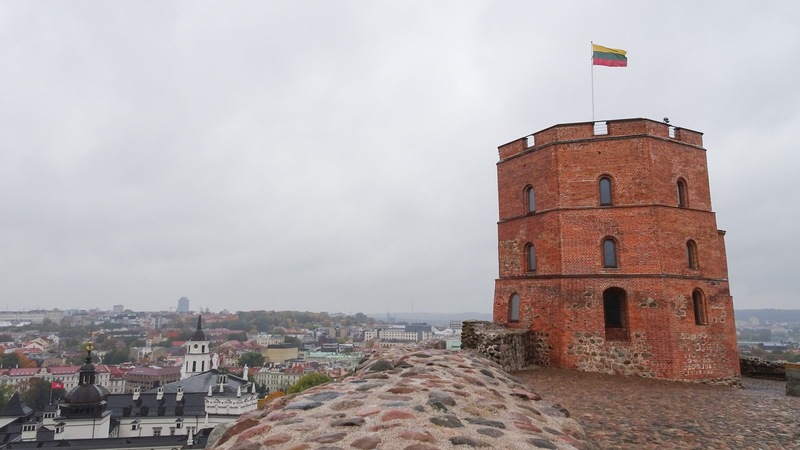 After entering the Gate of Dawn, this is the view on a rainy day in Vilnius. 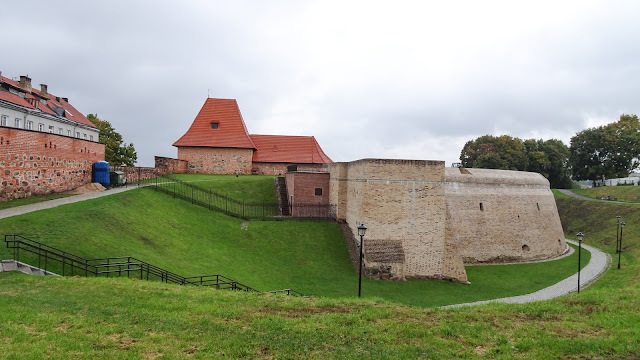 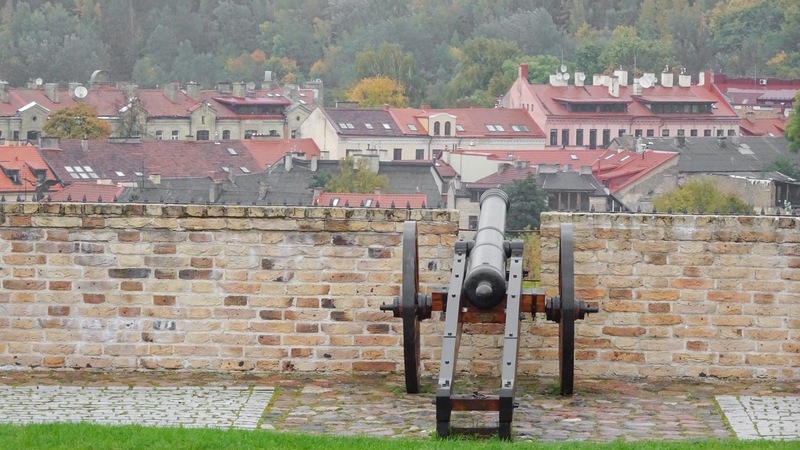 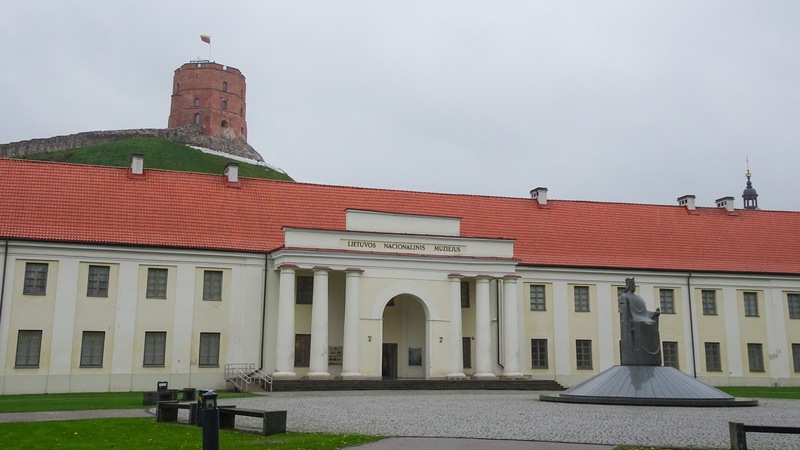 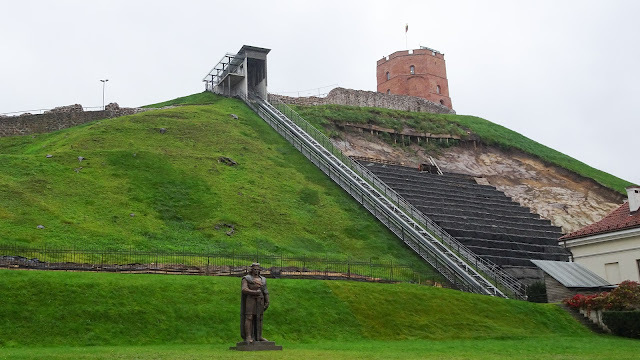 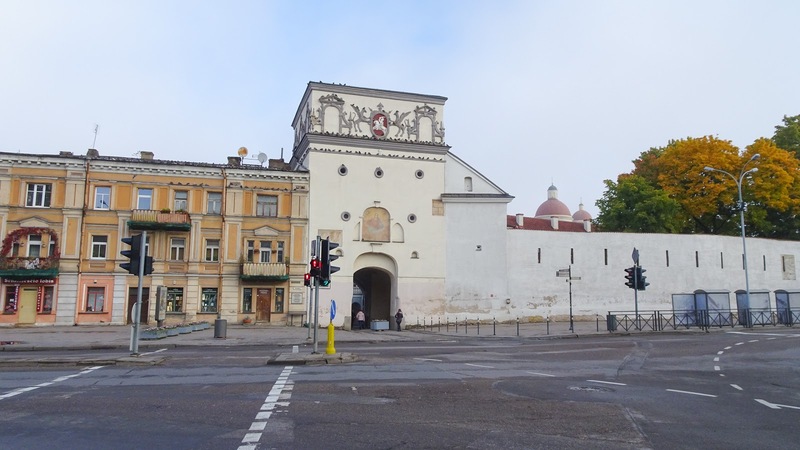 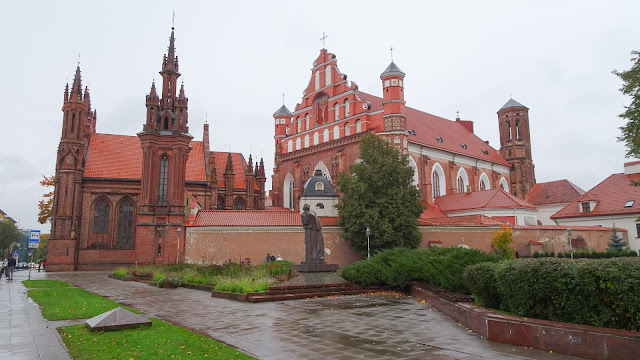 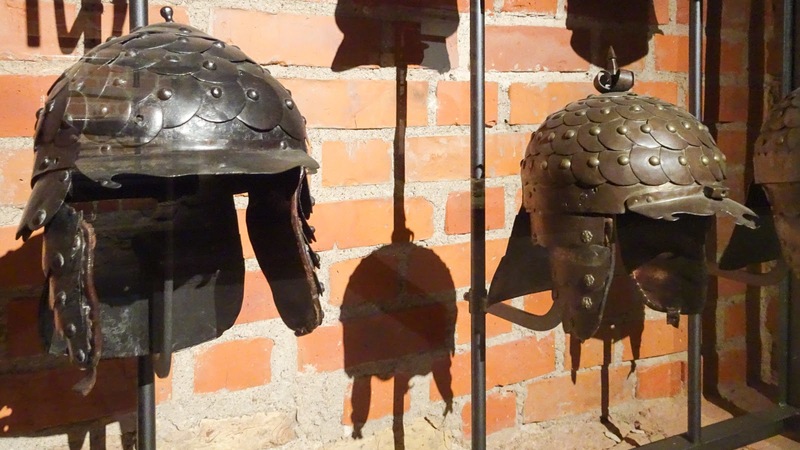 In the middle age Vilnius was became completely surrounded by a defensive wall, and this Gate of Dawn was the entrance. 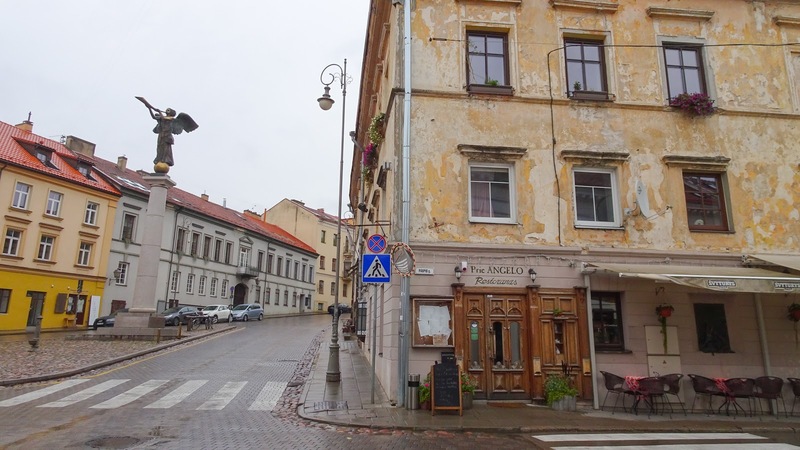 Moving from the South of the old town towards the middle part, there are lots of restaurants and cafes. 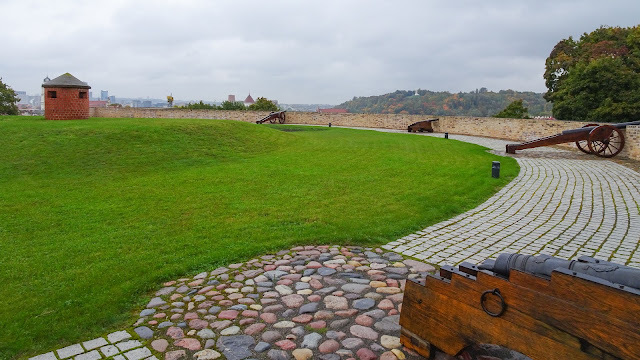 From the roof of the Bastion, there is a small lookout. But on rainy days like today, it wasn't such a big pleasure. 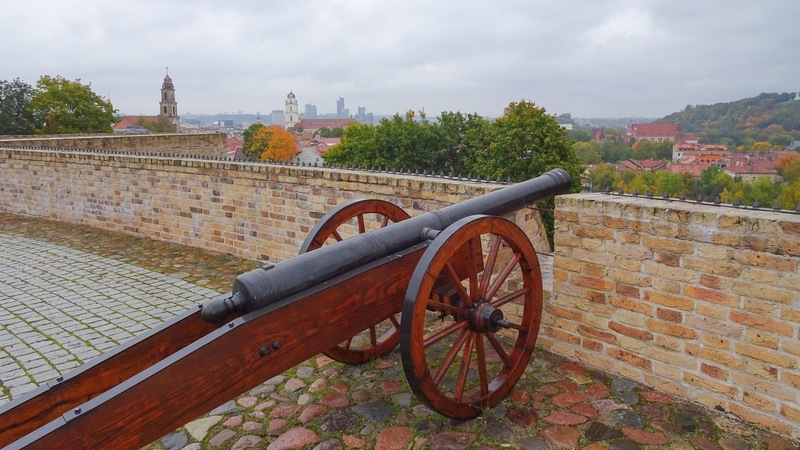 Cannons on the roof of the Bastion. 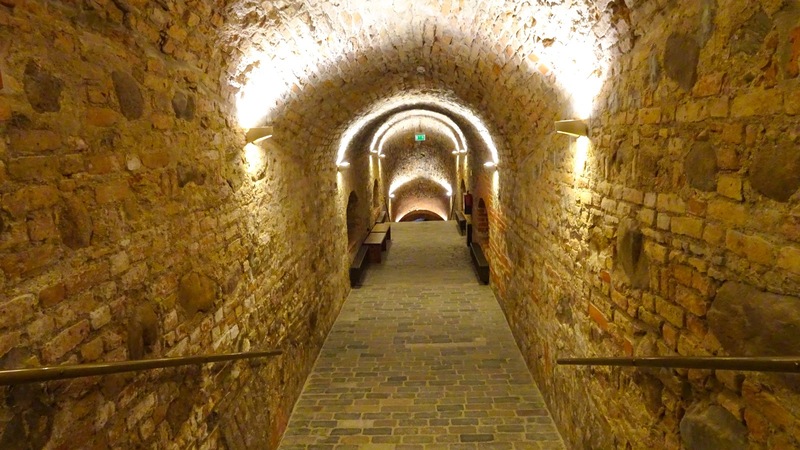 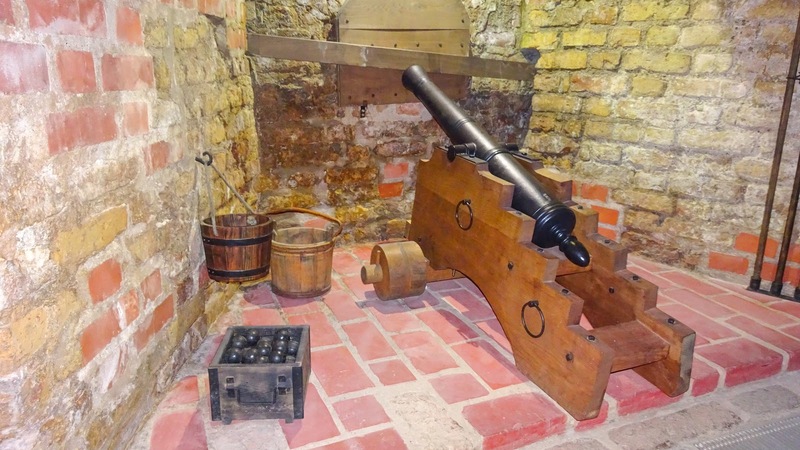 Visiting the basement, which is equipped with many cannons and war stuff like armor and helmets. In front of the Town Hall, which is located in the middle of the Old Town. 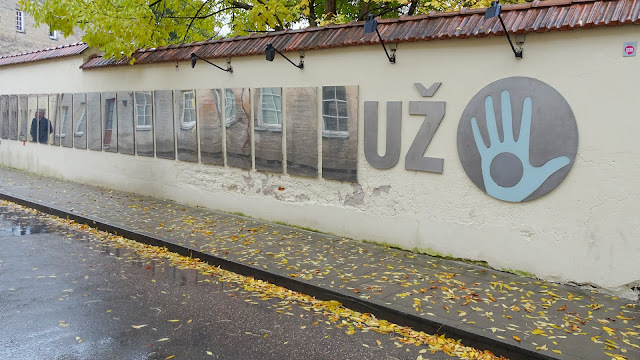 The Uzupis District. 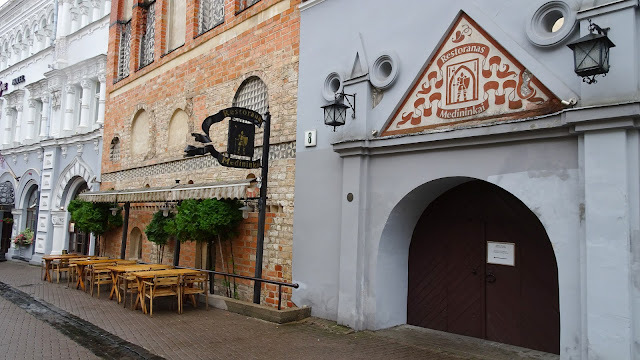 An own town in the old town. 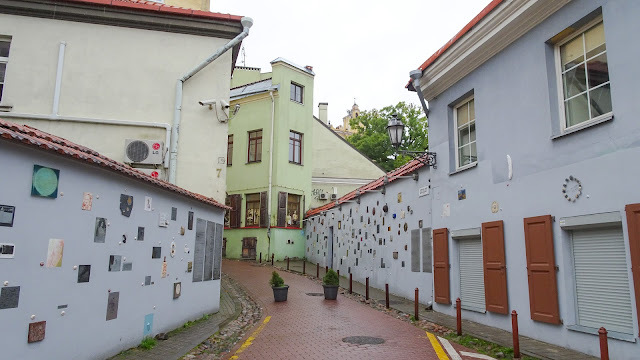 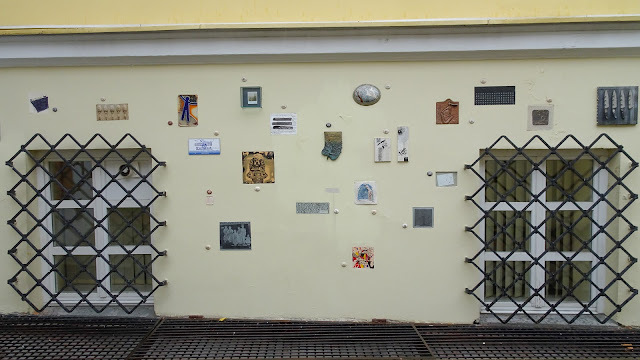 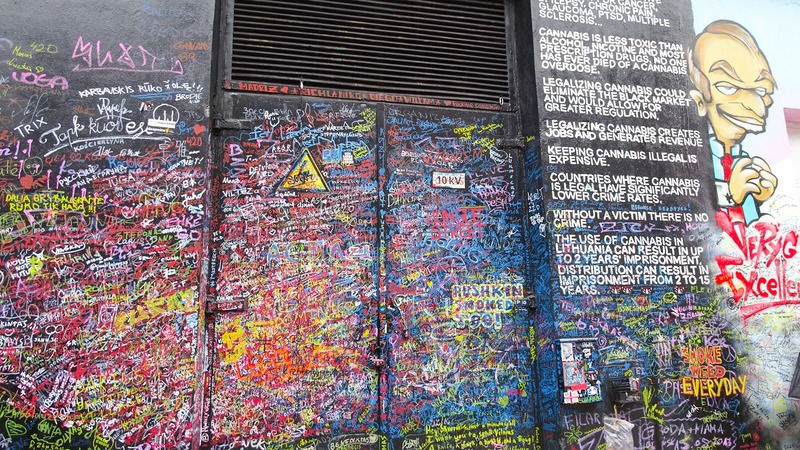 Part of Old Town, a largely unrestored area primarily occupied by artists, dreamers, squatters, and drunks. 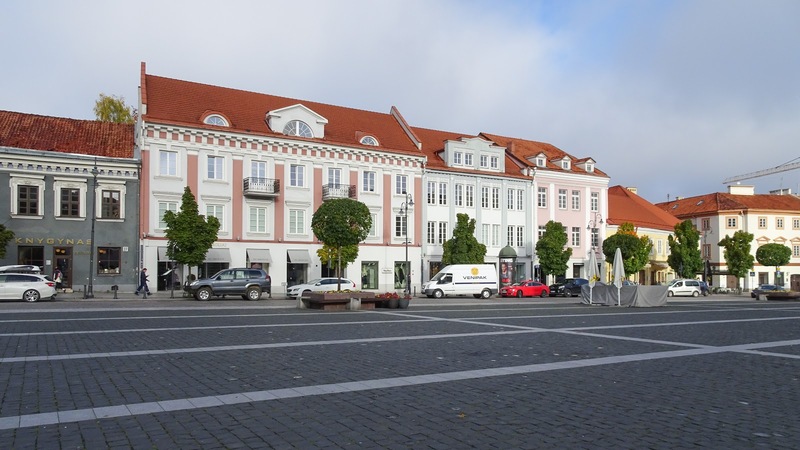 Before 2000, the residents of Uzupis unofficially declared the area to be an independent republic, with its own president, anthem, flag, and constitution. This church seems to be an important one, called the church St. Francis Assisi. 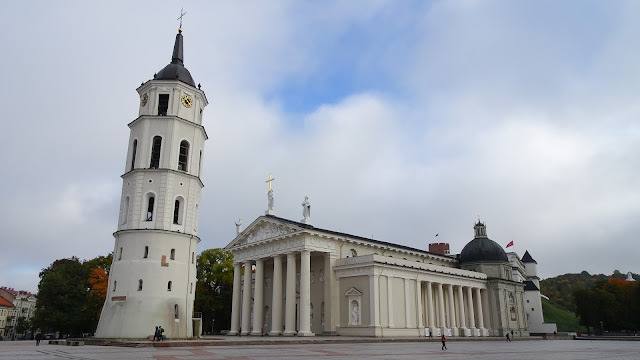 Never heard of that but it is worth a look as it was surely much effort to build this church.